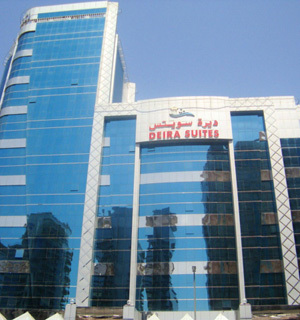 Deira Suites Hotel Apartment is located at the heart of central Dubai. Overlooking the scenic Dubai Creek and its close proximity to the city’s commercial hub, Government departments and shopping areas – makes Deira Suites an ideal choice for holiday makers and business travelers alike. Just 10 minutes drive from Dubai International Airport, Deira Suites is centrally connected to all forms of public transport including the Dubai Metro.